I love blueberries! I could eat buckets full of them! I really could. I used to live in Oregon in high school, and out there, they grew like weeds. People giving away blueberries like they give away zucchini in Utah. I told my husband, when we retire, we must move to a place that grow blueberries so easily, or at least not cost a small fortune to get some. Since living in Utah, there is a small window where blueberries are affordable and amazing, and the rest of the year we eat them frozen. Put all of that in a food processor and processed until it began to hold together. Then, we pressed the graham cracker mixture into the bottom of a pie plate. 2 cups of yogurt (we used plain, but use vanilla if your kids don’t like the tart flavor of plain). Put this in the food processor and pulsed until it was mixed together. 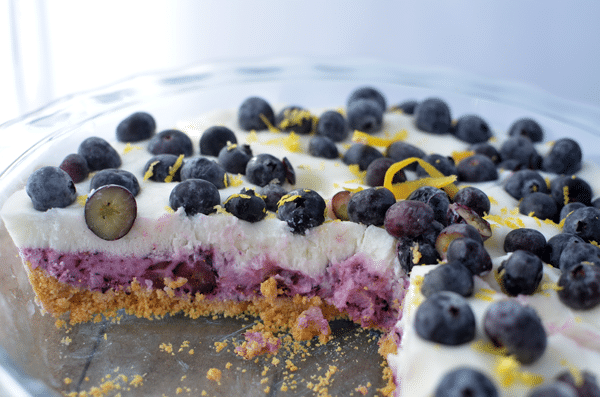 We spread the blueberry yogurt on the graham cracker crust and put it in the freezer for 1 hour. 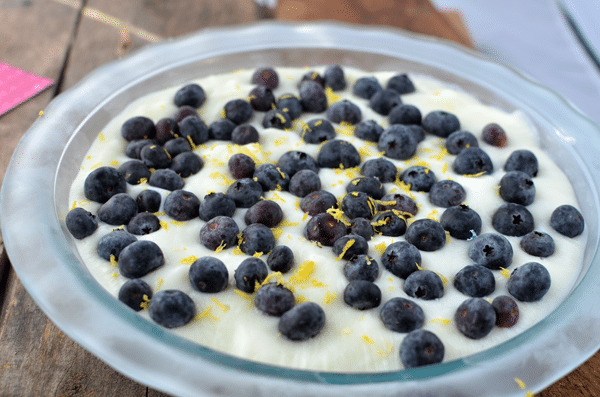 Next, we spread two more cups of plain yogurt on the blueberry yogurt layer, and topped it with blueberries and lemon zest. We returned it to the freezer for 1 more hour. That is all! 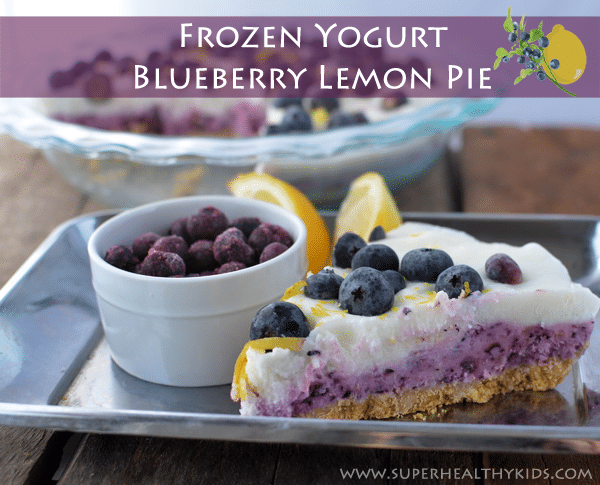 Any longer than 1 more hour and your yogurt pie is too frozen to enjoy. 2 hours total in the freezer (in our opinion) is the perfect consistency. You can of course leave it in the freezer for a few days, but before you eat it, set it out on the counter for 30 minutes- 1 hour to soften it up. So, go get some blueberries today! Whether you get frozen or fresh, they are both going to be great for your family. For more recipes & information on the health benefits of blueberries, check out the US Highbush Blueberry Council Website, or follow them on Twitter or Facebook. & Pinterest. 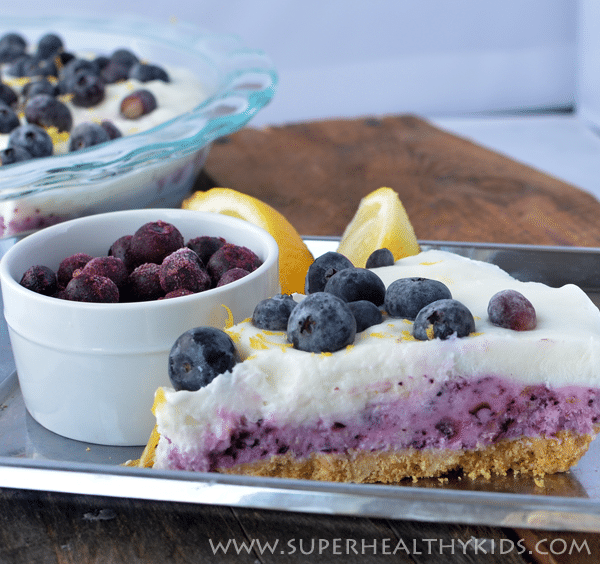 This post is sponsored by US Highbush Blueberry Council in connection with the Mom It Forward Blogger Network. 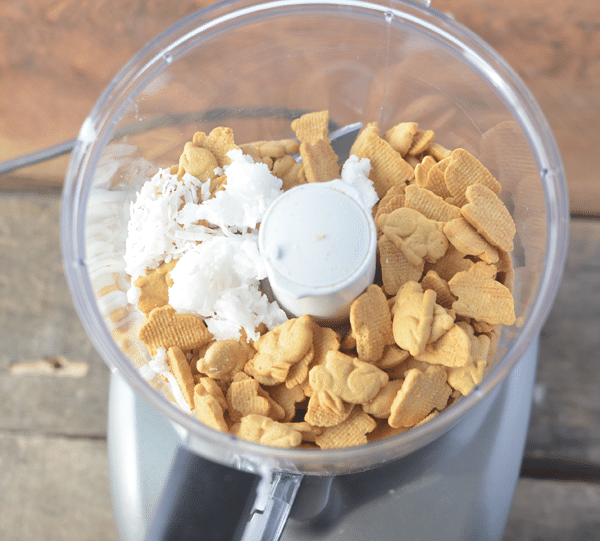 To make the crust, put graham crackers, coconut oil, and coconut in a food processor and process until it begins to hold together. 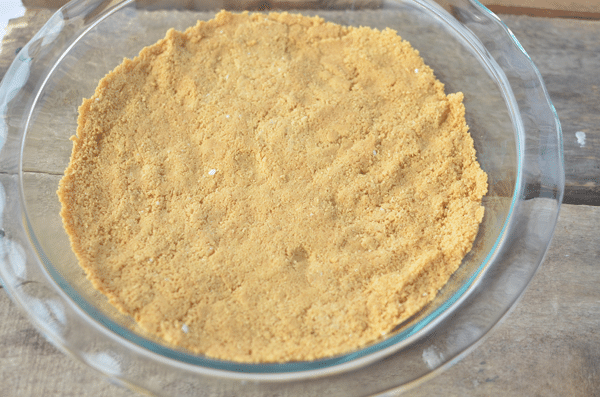 Press the graham cracker mixture into the bottom of a pie plate. 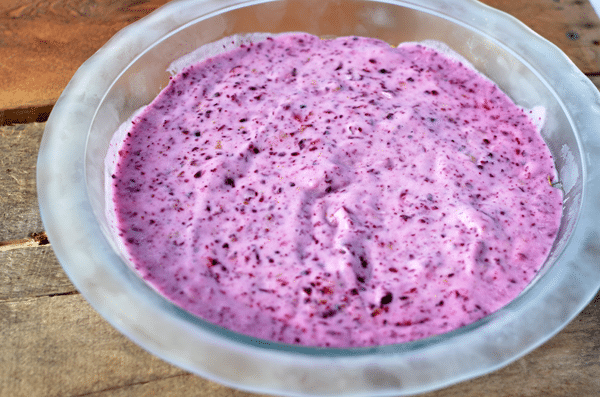 To make the filling, put the frozen blueberries and yogurt and zest from one lemon in the food processor and pulse until it is mixed together. 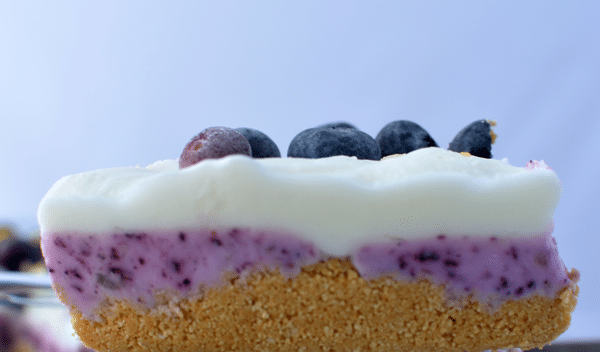 Spread the blueberry yogurt on the graham cracker crust and put it in the freezer for 1 hour. 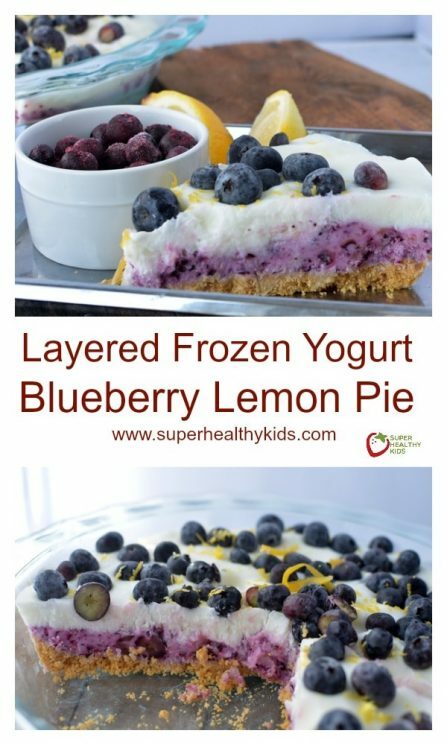 Spread two more cups of plain yogurt on the blueberry yogurt layer, and top it with blueberries and lemon zest. Return it to the freezer for 1 more hour. That is all! This looks amazing! 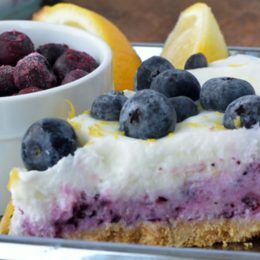 Just found my new favorite place for blueberry recipes! I have some blue berries that can be used today! Yes, I am entered into the current giveaway. Thank you. Is there a printer friendly version of this recipe? This is a really nice cake. i have a question about de coconut oil. We don’t have it in or stores. Is there a good other thing what you could do in it? In the store we have only coconut milk…. Recipe looks so yum ..bur here in india cant find blue berries. ..is dried blue berries an option. ..or can I substitute it for any other fruit. Thanks. Any fruit will do Liji! Made blueberry frozen pie for dessert tonight think I froze it a bit to long, and what do you do with leftover, freeze or refig? I keep it in the freezer Donna. Hi! 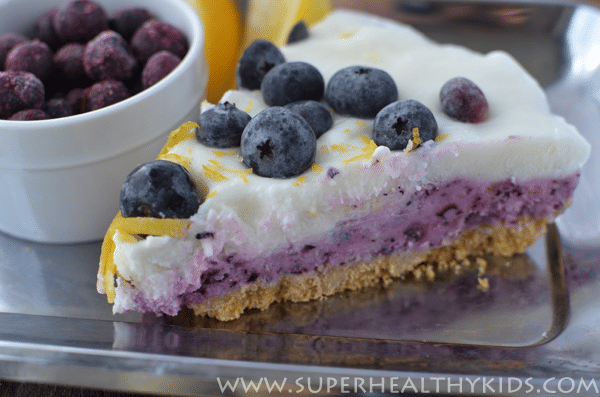 This look soooo delicious, is there a substitute for a healthy pie crust? I don’t think this one is unhealthy at all but I am in Mexico and there are no Annie’s Bunny Graham Crackers. Thanks in advance for this! Amy, this looks like a really simple one and I love the idea. Thanks for sharing hun!